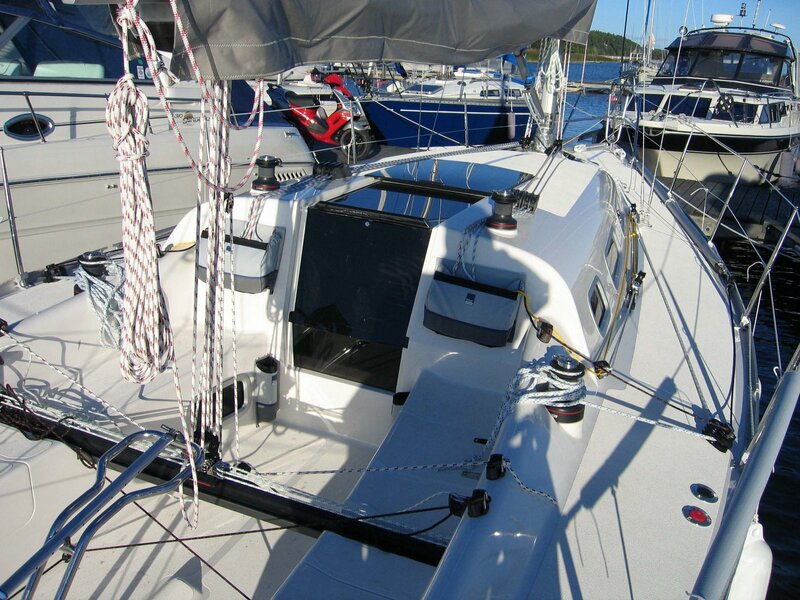 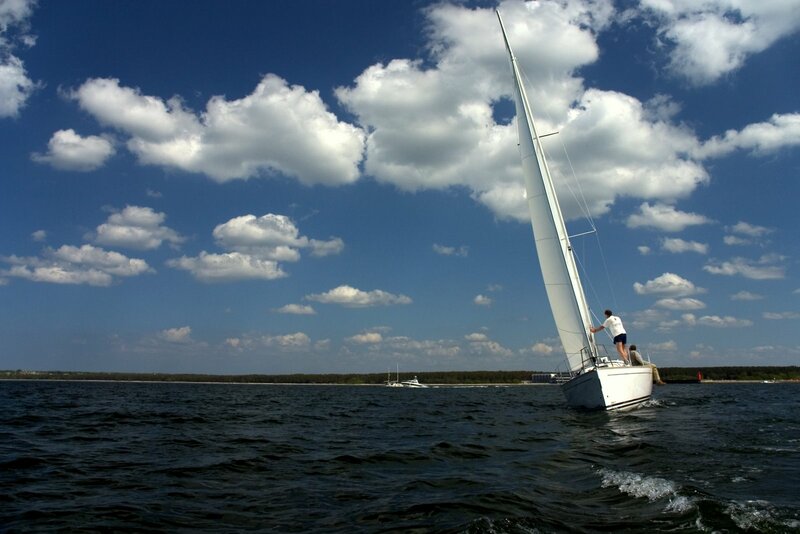 Ridas 31 - modern yacht for racing and cruising. 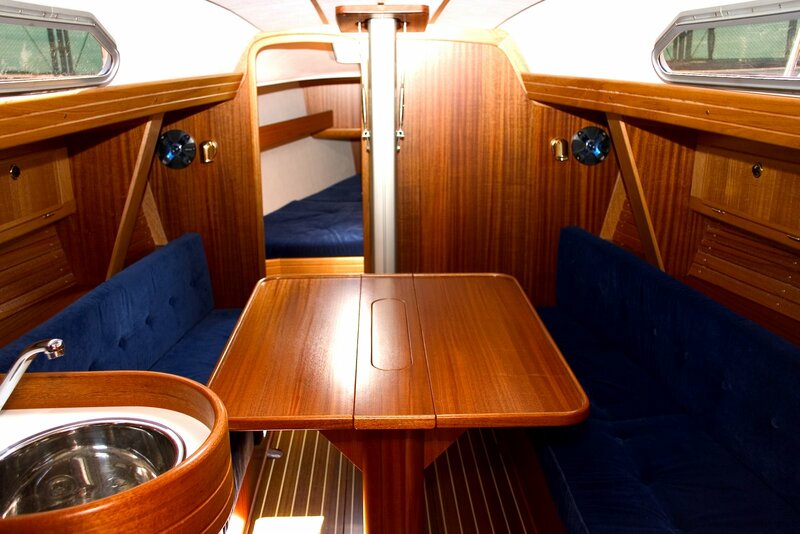 Ridas 31 is the most sporty yacht in the series. 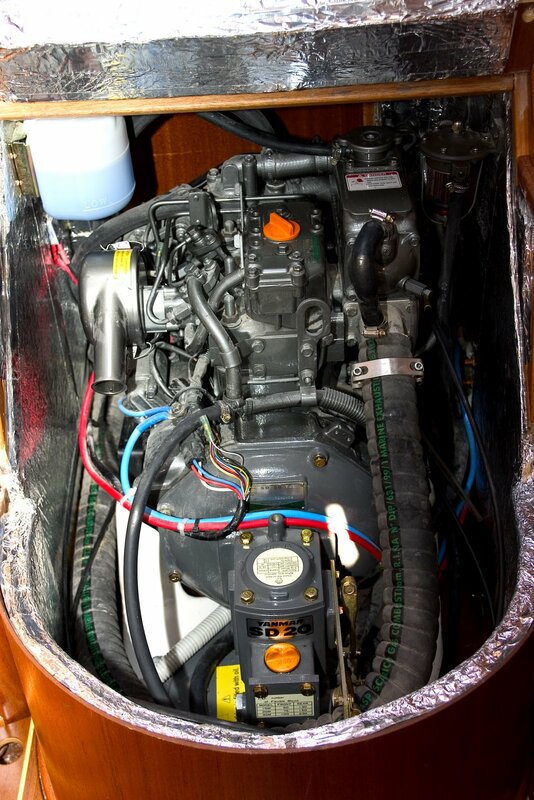 A racer version of this model is also available. 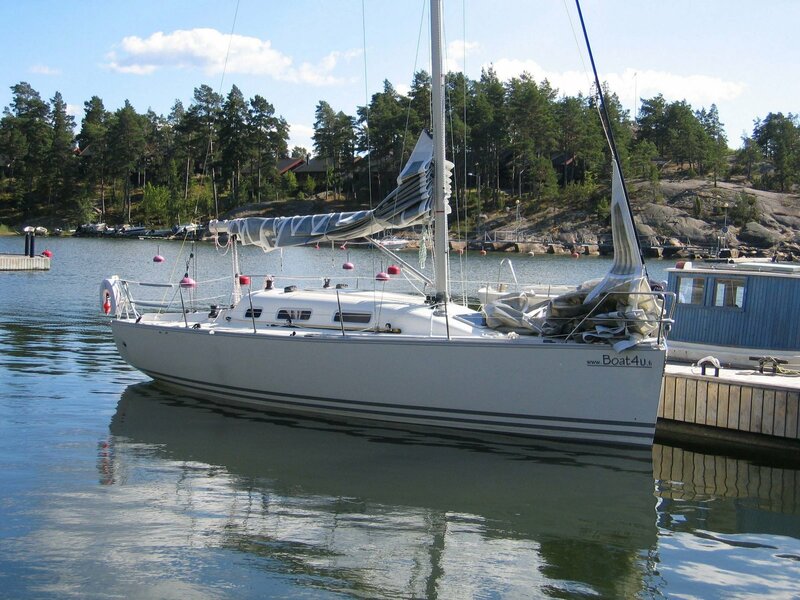 Ridas 31 was designed by the German naval architect Dieter Blank. 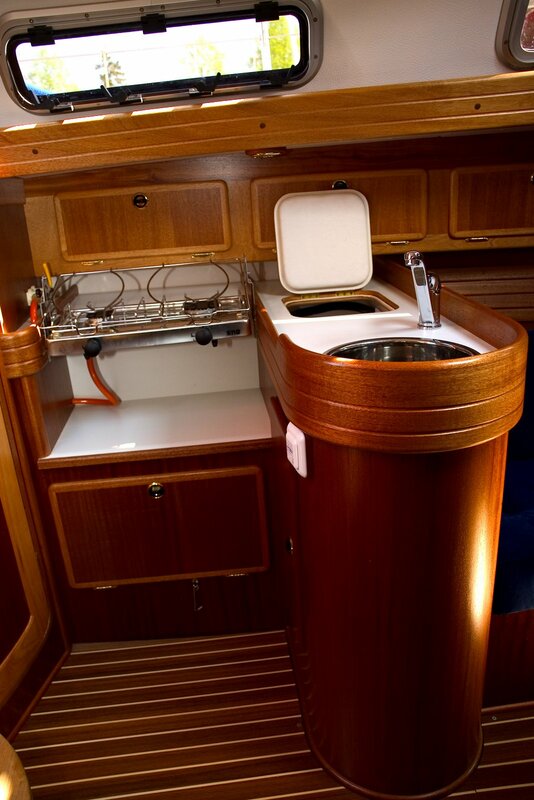 The idea behind the Ridas 31 is a modern and fast racing family yacht that is also spacious, with lots of wood trim and many storage areas. 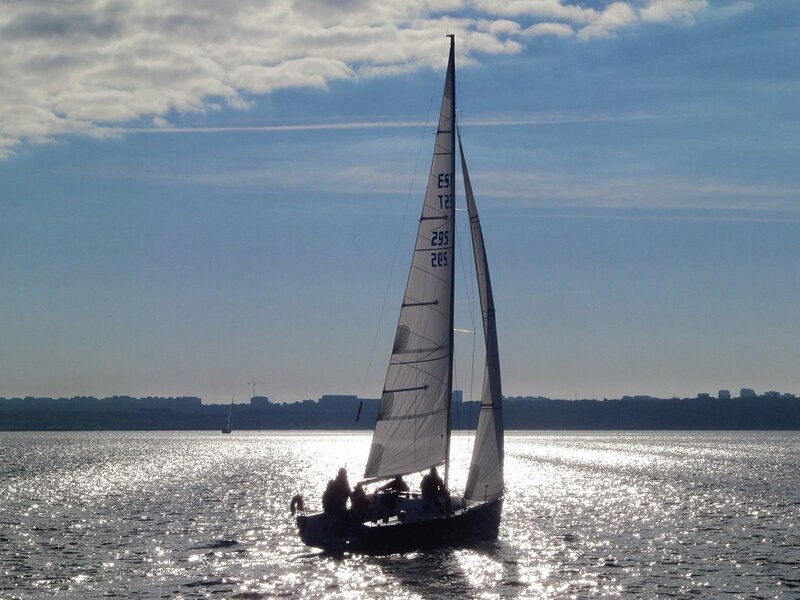 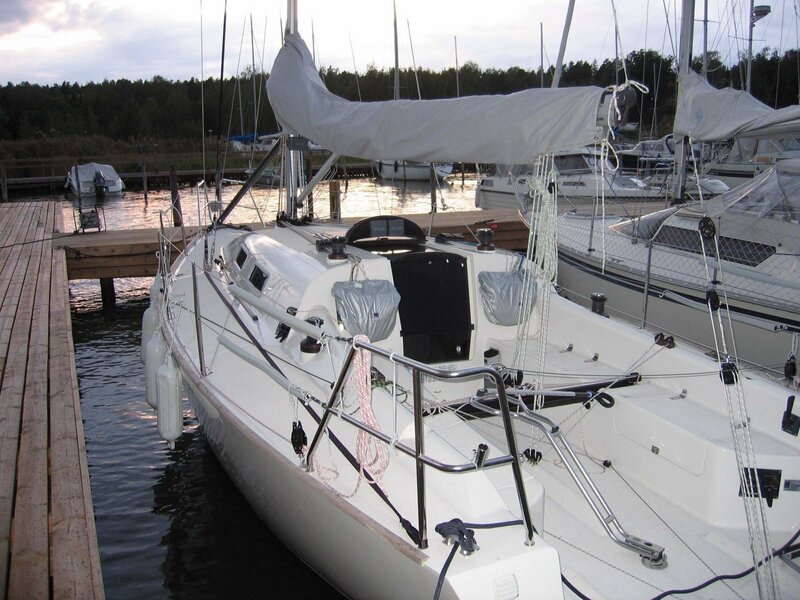 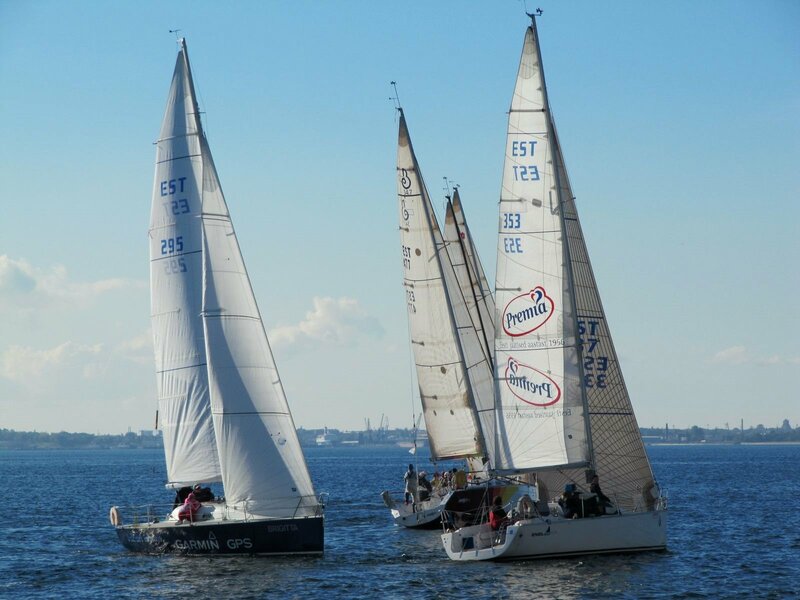 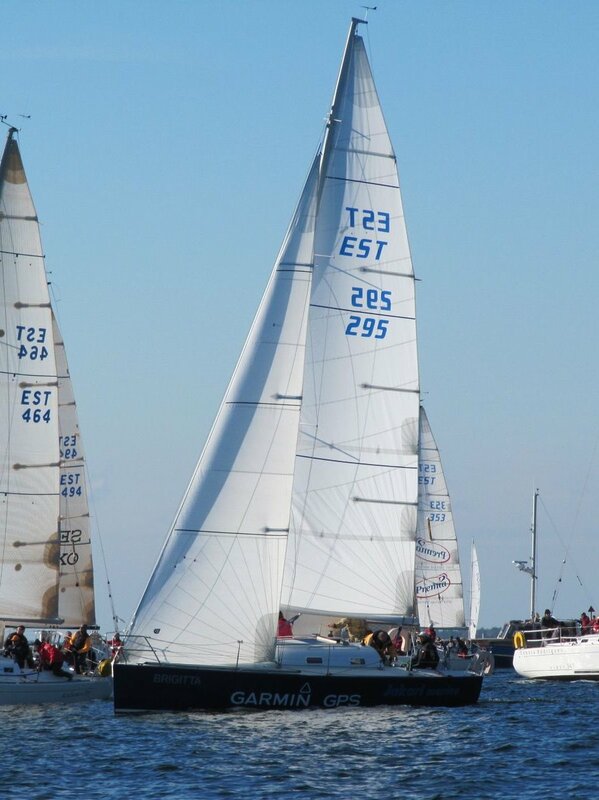 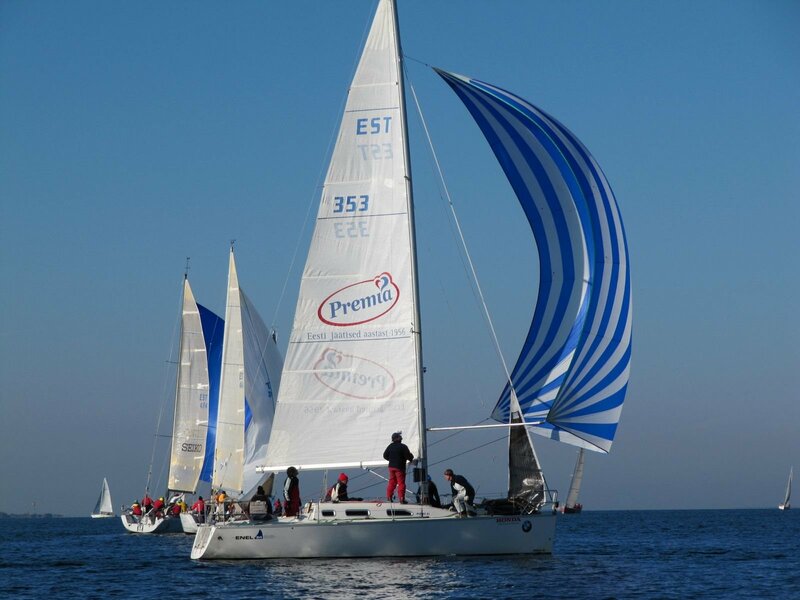 This type is primarily for those who want to take part in club races as well as open sea cruising and want to own a very modern, fast cruiser/racer with good equipment. 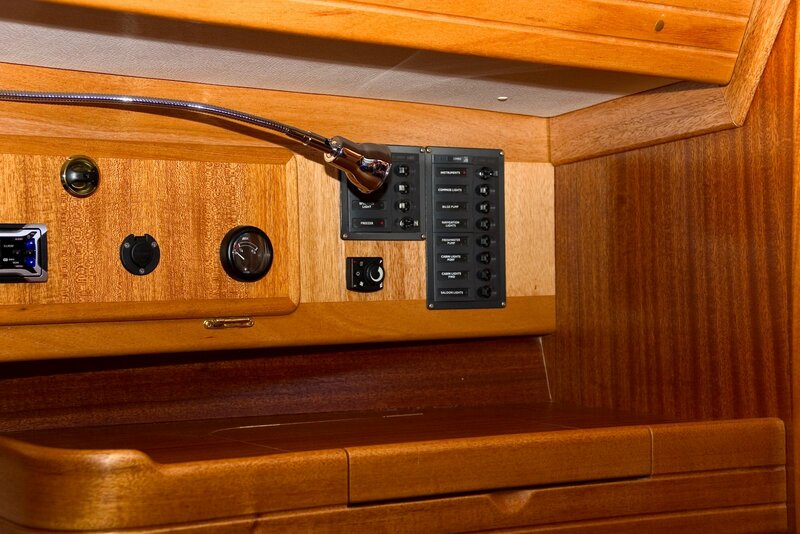 The hull is vacuum-resin-infused. 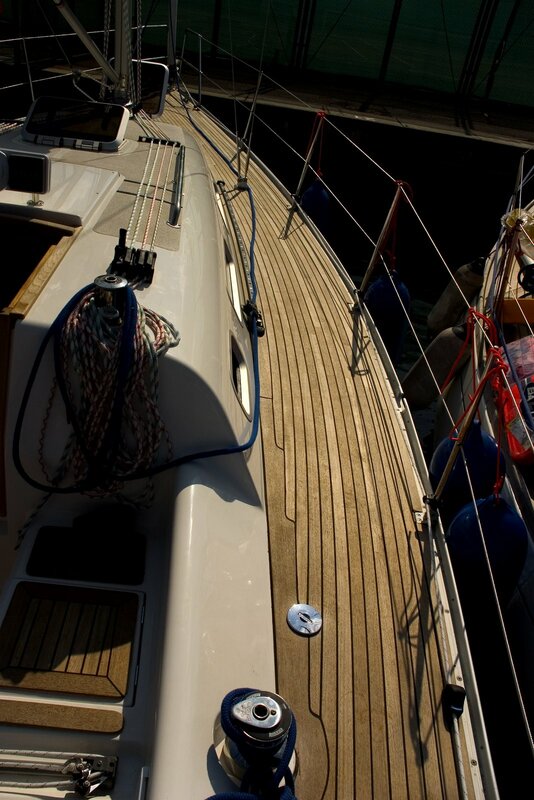 The areas around the keel, engine, helm and seacocks are fully laminated. 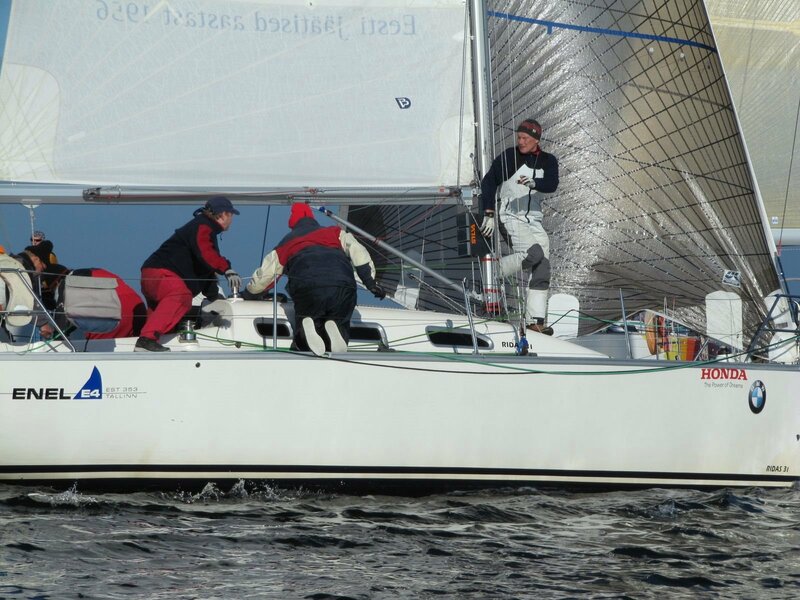 The keel is supported by a galvanized steel frame molded to the full laminated bottom., which provides extraordinary strength to the entire keel structure. 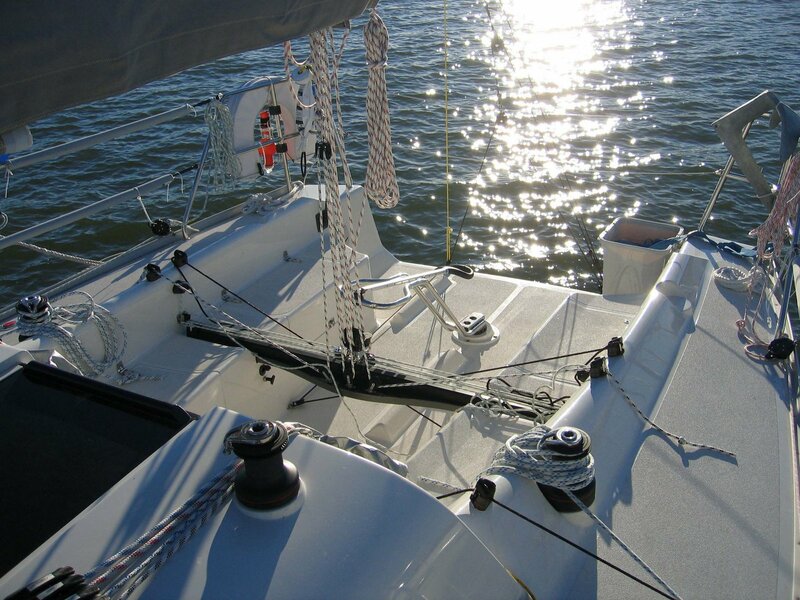 The outer skin is molded from isophtal acid resin for the best level of resistance to temperature and water. 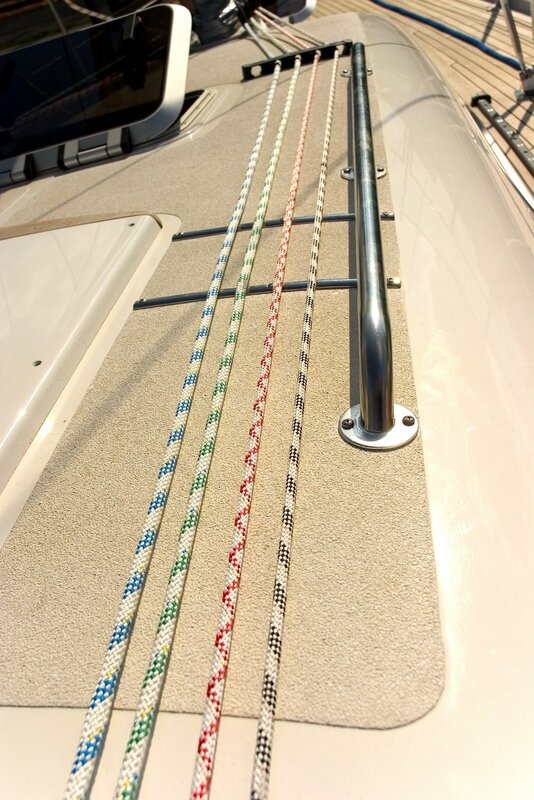 The deck is vacuum-resin-infused and all high loaded areas of the deck are also full laminate. 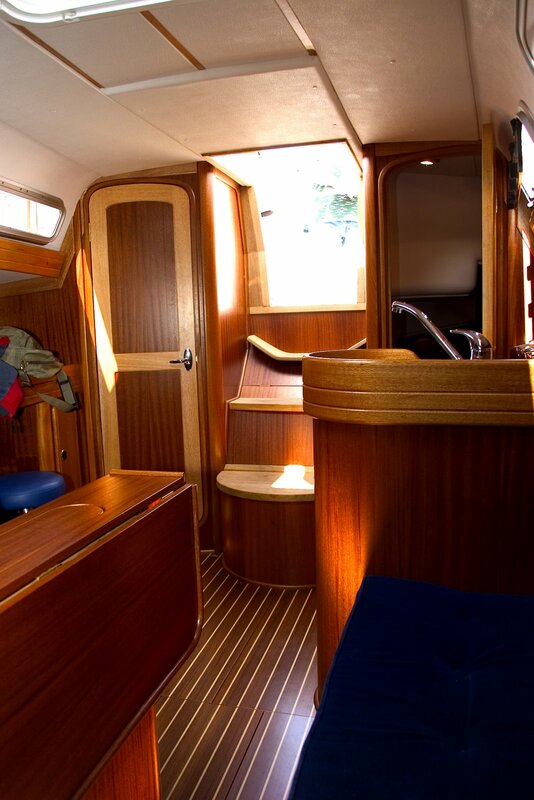 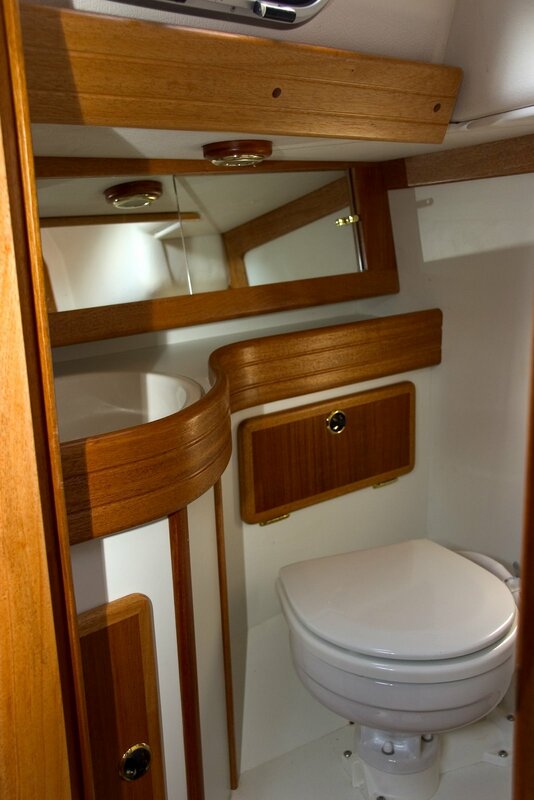 Two cabins and a salon and a separate WC provide a spacious and comfortable layout, with berths for six. 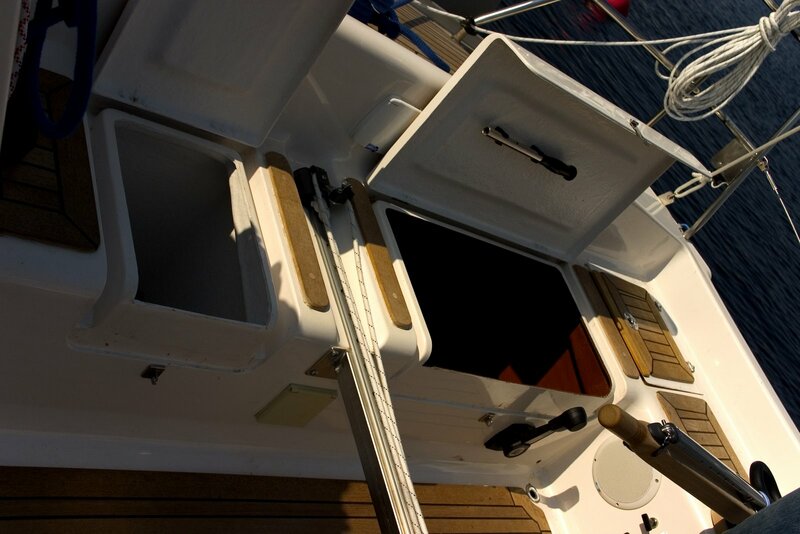 Smaller articles can be stored behind the backrests of the salon seats and when removed, seats become full-sized berths. 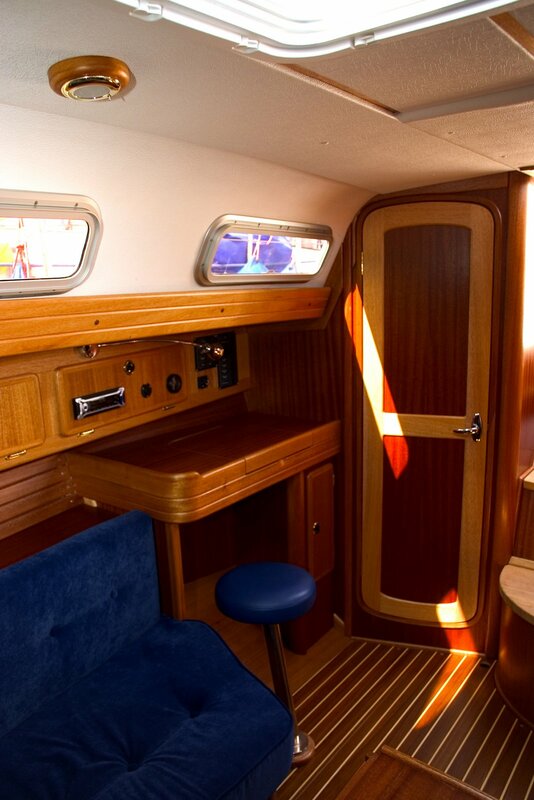 The all-wood trim on boards and where walls meet ceiling adds ambience to the salon. 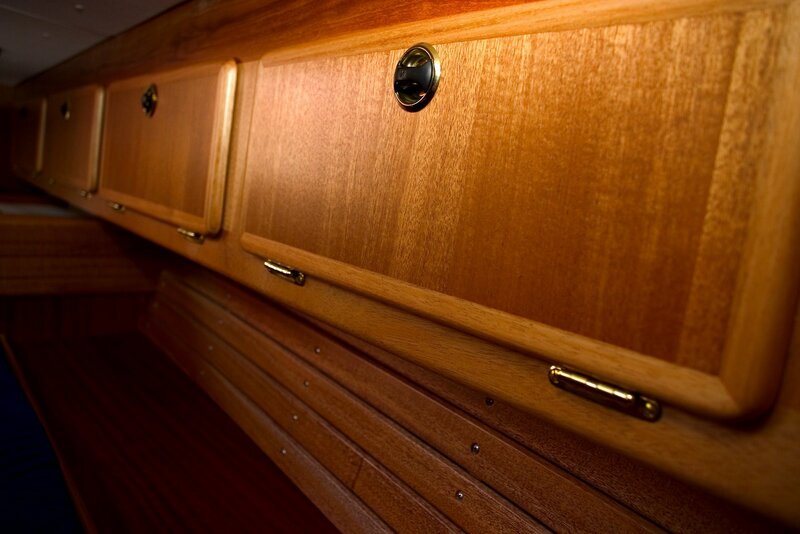 The large storage locker on the starboard side of the stern allow extra supplies to be carried.